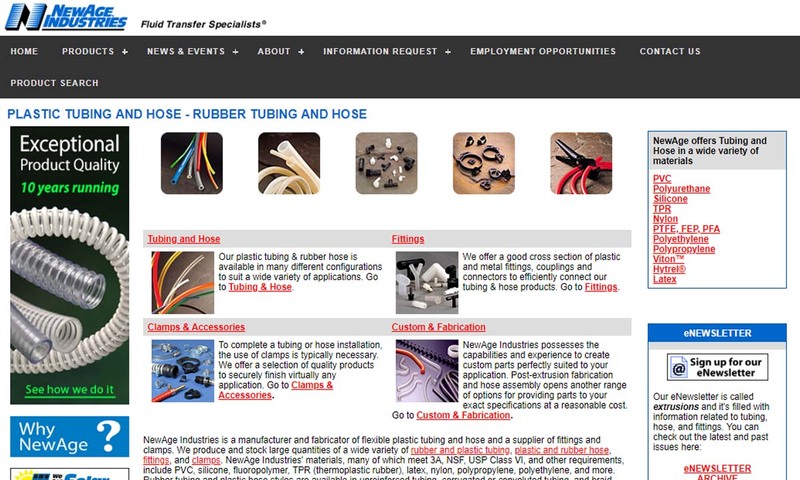 A reliable source for Plastic Tubing information and a resource for accessing leading Plastic Tubing and suppliers. Plastic tubes are hollow channels that vary in length, diameter, wall thickness, and strength. Manufacturers and customers choose to work with plastic tubing products, rather than metal or rubber tubing, because it can be flexible and because it offers a much greater variety in material choice. Plastic tubes have a myriad of applications, but in general, they’re used for piping and hose purposes, such as transferring substances from one point to another. Plastic tubing is useful in many different industries, including: aerospace engineering, automotive engineering, mechanics, gas and oil, healthcare and medicine, agriculture and water management. Plastic Tubing Manufacturers and customers choose to work with plastic tubing products, rather than metal or rubber tubing, because it can be flexible and because it offers a much greater variety in material choice. 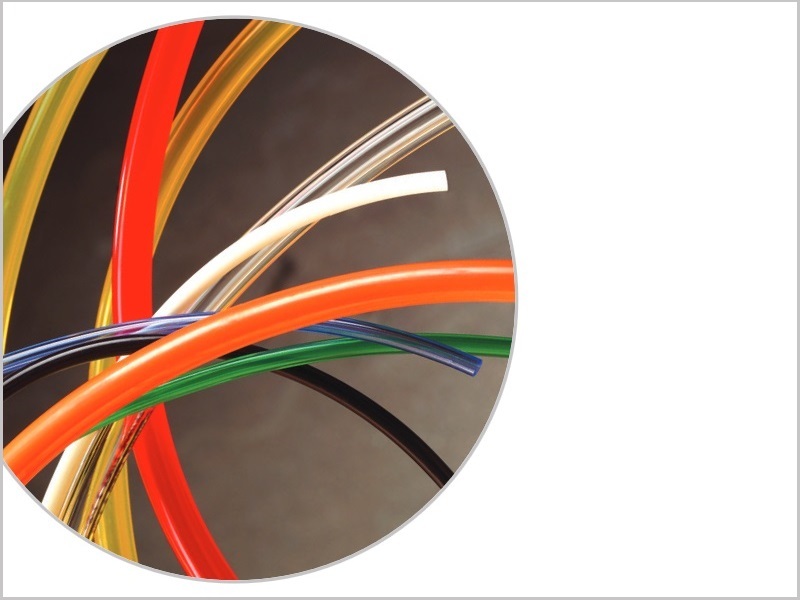 A leading manufacturer and fabricator of flexible plastic tubing and hose, we produce and stock large quantities of a wide variety of materials, including PVC, polyurethane, silicone, nylon and many more. 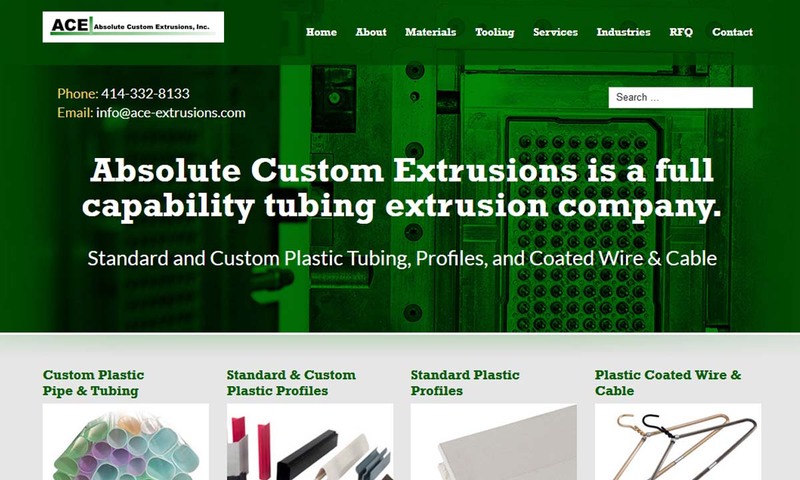 At Absolute Custom Extrusions, we specialize in plastic tubing, while providing custom plastic extrusions and profiles. Products include distributor tubes, hot or cold water tubes, automotive tubing, medical tubing, shipping tubes and golf club tubes. 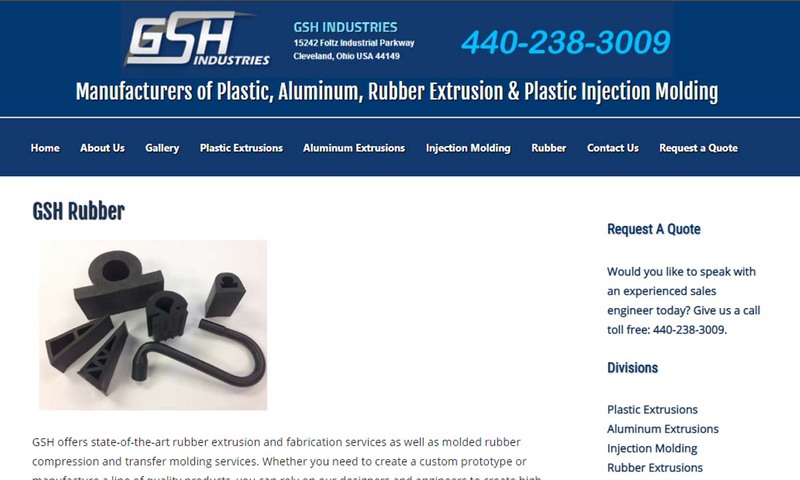 GSH is a manufacturer of plastic, extruded, nylon, polycarbonate and polyethylene tubing. We serve a variety of industries with our products, including automotive, consumer, electrical and marine. Petro specializes in plastic tubing, offering custom extruded tubing, coiling & angle cutting. Our clear & color plastic tubing is available in Polycarbonate, Acrylic & PE-PP-Nylon. If you are in search of quality plastic tubing then you have found the company that can meet your needs. We have a wide variety of stock plastic tubing items and our solutions are very reliable. 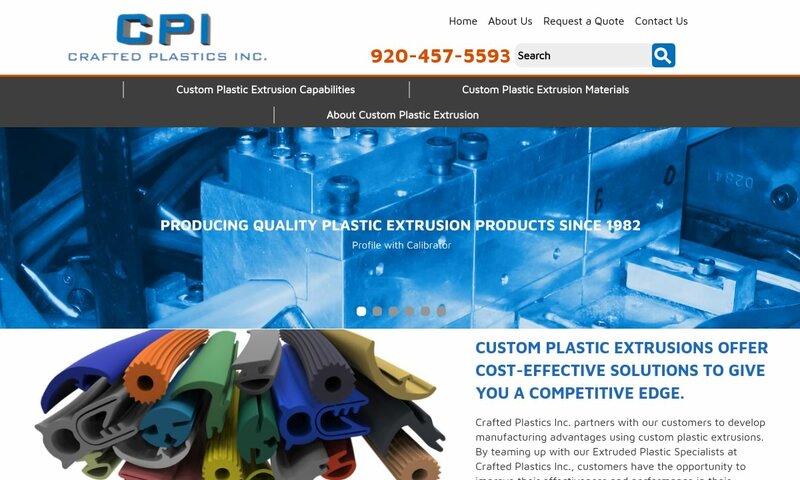 Crafted Plastics has served the plastics extrusion needs of manufacturers and distributors worldwide since 1982. 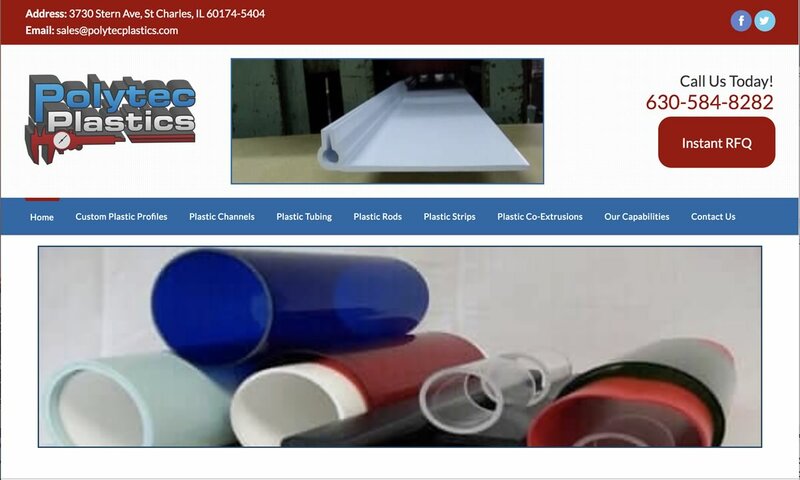 We craft plastics from a wide array of thermoplastics and are able to extrude basic to complex profiles. The history of plastic tubing starts before plastic, with the earliest pipes and tubes. Humans have been using piping since the advent of plumbing. Many ancient civilizations, including the Chinese, Indians, Persians, Greeks and Romans, used pipes, first earthen and then lead, to transport potable water and drain waste. Centuries later, in the American west, people used wooden pipes for water, because they found it easier to maintain than metal. During the 1800s, they preferred redwood trees because they found them better a resisting fungus growth, acids, insect damage and weathering. In comparison, iron pipes quickly corroded and developed limescale. During the 1800s, we also took the first step in the journey to widespread plastic pipe usage. 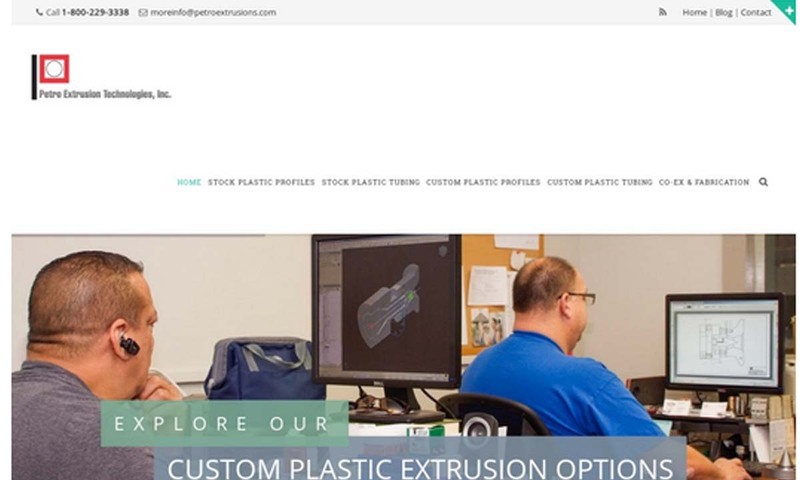 Plastic Tubing – NewAge® Industries, Inc. The first synthetic plastic was created in 1856 by Alexander Parkes. This plastic, called Parkesine, was made from cellulose that had been treated with nitric acid and a solvent. It won a bronze medal at the 1862 London World’s Fair. Parkes invented it as a replacement for ivory. Throughout the rest of the 19th century and all of the 20th century, chemists created countless other plastic varieties. Some of the busiest flurry of activity in this arena took after World Wars I and II. During both of those time periods, scientists around the world strove to create plastic materials that benefited the war effort. Afterwards, in the 1940s and 1950s, plastic usage exploded, and plastic tubing began to replace tubing made from other materials. For instance, in 1945, doctors used plastic catheters as IVs for the first time. Today, most plastic tubing is made from partially or completely synthetic materials. Manufacturers are also turning to plastic tubing made from renewable resources. You can find raw plastic materials in several places. Most of these materials are hydrocarbon-based. This means that most of these plastic materials can be derived from refined petroleum products. For example, there are some varieties of raw plastics such as nylon 11 that can be derived from the renewable resource castor oil. There are other raw plastics that are derived from non-hydrocarbon sources. In the future, we can expect to see manufacturers continue to move towards more sustainable and eco-friendly solutions. A stock of raw plastic can be refined and shaped into plastic tubing using one of several methods, which include cell casting, plastic pultrusion and plastic extrusion. One of the methods is known as cell casting, which is one of the oldest methods of plastic tubing fabrication. In the cell casting process, molten plastic is poured in to a tube-shaped recess. This process has several drawbacks, however. It is costly, labor intensive, and time-consuming, and inconsistent. Pultrusion is a process that combines plastic resins with fibers in order to create an exceptionally strong and durable material. Pultrusion is widely used in applications that involve frequent or heavy impact between tubing and equipment or other moving objects. While pultrusion is a popular method, plastic extrusion is used much more extensively, and is the most efficient and effective method of plastic tubing fabrication. The plastic extrusion process is capable of producing tubes of any plastic material of any thickness and width. To extrude plastic, plastic tubing manufacturers begin with collecting stock, or the raw plastic material. Next, the stock is loaded into a hopper that is suspended above a conveyance channel. The stock is then pushed through by a long screw located in the conveyance channel. The friction caused by the turning screw as well as heating elements that are built into the conveyance channel melt the stock to a liquid state as it passes through. At the end of the channel is a die, which is a tool that is used to shape raw material into a product. In this particular case, the die is a metal plate with a specifically designed hole through which the molten stock is forced. The stock then emerges from the die as a freshly extruded plastic tube which can be cut to length, prepared for shipping, or sent for additional processing. Some materials that are widely used are flexible vinyl, polyurethane, low and high-density polyethylene, cross-linked polyethylene, rigid vinyl, polycarbonate, polystyrene and PETG, and an assortment of nylon materials. Each material that tubing can be made of has its own set of qualities that set them apart from other materials. Manufacturers design and customize plastic tubing based on application specifications, such as required: flexibility, strength, stretch, coloring, sterility, corrosion resistance, load capacity and cost. They also think about how often the customer will be accessing or maintaining the tubing, and what exactly will be passing through the tubing. For example, some tubing will transport toxic or hazardous materials. Performance and aesthetic considerations like these help manufacturers decide details including: tubing material, wall thickness, diameters, fittings, length and coatings. In addition, cylindrical tubing is not suitable for all applications. So, some tubing fabricators also make square plastic tubing and many other tubing shapes. Plastic tubing is extremely simple. To make it work, you simply have to pair it with your application components. Such components typically include fittings, devices like flow meters and, of course, the substance intended to pass through the tubing. Sometimes, the plastic tubing requires not even all that. Instead, they use gravity to pull fluids down the path of least resistance. This is often the case with drainage applications. Acrylic tubing, sometimes known as clear plastic tubing, can be made to be opaque or near-transparent. Acrylic sheet tubes are naturally clear, and are therefore used extensively in applications where the materials moving through the tubes must be observed. Clear acrylic tube, and clear plastic tube in general, is an important tubing product in the medical industry. Furthermore, acrylic tubes can be colored, making it much easier to organize tubes that are in close proximity to one another. Those who are looking for a sturdier material can look for polyethylene tubing, or poly tubing. High density polyethylene tubes, or HDPE plastic tubes for short, are ideal for high-impact applications. Low-density polyethylene tubes or LDPE tubes, are much more flexible and are widely used for pneumatic equipment. Low-density polyethylene can make flexible plastic tubing, while high-density polyethylene is used to create tubing that is stronger, more rigid, and more impact-resistant. Another type of tubing that is used for pneumatic applications is nylon tubing, certain varieties of which can be derived from non-petroleum-based raw nylon. Nylon tubing is heat and crack resistant, and can be used for applications such as automotive fuel lines and refrigerator water lines. Because of its versatility, nylon tubing is used for industries such as aerospace, filtration, medical technology, irrigation, laboratory, and many more. Vinyl tubing is constructed of plastics that belong to the vinyl group of chemicals. The most widely used and well-known variety of plastic tubing is polyvinyl chloride, or PVC. PVC tubing is one of the most versatile plastic materials available. It is widely used in industries such as consumer, construction, industrial, heating and cooling, and plumbing. PVC is resistant to corrosion, doesn’t conduct electricity, is nontoxic, is resilient in the face of a wide range of extreme temperatures and varying pressures, and can accommodate high flow volumes. These positive traits make PVC tubing a wise choice to use in applications such as food processing, brewing, pool operation, and industrial wastewater management. Heat shrinkable tubing is a specialty tubing, designed to shrink when heated. Its goal is to form a tight, glove-like insulative cover. Corrugated tubing is tubing that features tight ridges and perpendicular (by length) valleys. Its design makes it extra sturdy, with a low flow. It is most often made of low-density linear plastic materials, including: polyethylene, PVC, polyurethane and nylon, and may be designed as reusable or disposal. Available in virtually all sizes, its standard size is 10 mm. Most often, corrugated tubing is used for medical purposes, like administering anesthesia or maintaining respiratory ventilators. The term “medical tubing” refers to any plastic tubing used in medical procedures or applications, such as catheters, IV drips and surgery. The term “plastic pipe” refers broadly to extremely rigid and inflexible plastic tubing. Typically, plastic piping is measured by the inner diameter. One step down in rigidity from plastic pipe is hard plastic tubing. This slightly less rigid and inflexible tubing is chosen for its resistance abrasion and kinks, and its overall strength. Available as clear or opaque tube, hard plastic tubing is typically made from acrylic or polycarbonate. Plastic tubing is a superior choice for many reasons. First, it is incredibly versatile; because there is such a wide variety of plastic materials out there, manufacturers can find a material to match virtually any application requirement. These requirements include those related to temperature extremes, extreme pressure and exceptional corrosion. Another reason to love plastic tubing is that the production process is fairly inexpensive. With the right team, your plastic tubing will prove efficient and highly effective. Depending on your application requirements and specifications, you may need any one of many accessories. Examples include: fittings, connectors, joints, valves, inserts and couplings. If you treat your plastic tubing well, it will last you for years to come. Proper plastic tube care begins with keeping an eye on its physical state. Regularly check for problems like: leaks, cracks, corrosion and tears. While some plastic tubing is designed to fail safely, should it spring a leak, other tubing is not. If your plastic tubing fallers in the latter group, it poses a greater risk of explosion shattering, should it be compromised. If you find that your plastic tubing has become compromised, you need to deal with it promptly. Sometimes, you can fix a pinhole leak by simply cutting that section of tubing out and reconnecting it with a coupler. Other times, the damage is too great, and you must get it replaced. Because plastic tubing characteristics vary so greatly, it’s important you also ask your manufacturer about caring for it. The standards to which your plastic tubing must adhere depend on your application, industry and region. For example, drinking straws and surgical tubing must be up to FDA standards. In addition, plastic pipe must meet EPA standards, which are informed by ASTM. If you plan on using non-pressure plastic pipe or tubing on any American roadways, it must meet the EPA-prescribed standards of the AASHTO (American Association of State Highway and Transportation Officials). To make sure your plastic tubing is up to snuff, make sure to check in with your manufacturer and industry leaders/the proper government offices before proceeding. Plastic tubing is a widespread product, and as such, thousands of companies offer plastic tube fabrication services. So, how do you sort through them and pick the right one? It can be a pretty daunting task. Well, fortunately, we’ve done a large chunk of the work for you; we’ve put together a list of those manufacturers in whom we believe most.  Scroll up just a little ways to find the profiles of several highly skilled and reliable manufacturing companies. So, we’ve provided you with some companies to browse. Now how do you choose between them? Start by browsing their profiles and websites. Look for a company that potentially meets your needs. Pick a few, maybe three or four, to whom you’d like to speak directly. Then, reach out to each of them and query them. Make sure to go over important considerations like: custom plastic tubing services, secondary services, lead times, delivery options standard certifications and budget. Also take the time to study customer reviews and look for good references. Make sure the company you choose will have your best interests at heart, not just theirs. Once you’ve spoken with all of them, compare and contrast the companies and select the one you believe will best suit you. Then, call them up and get started. Good luck!